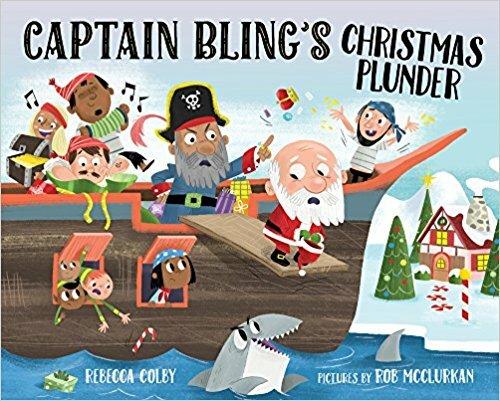 Today we introduce Rebecca Colby, author of many children's books, including her recent books, CAPTAIN BLING’S CHRISTMAS PLUNDER illustrated by Rob McClurkan (Albert Whitman, 2017) and MOTOR GOOSE, illustrated by Jeff Kaminsky (Feiwel & Friends/Macmillan US, 2017). 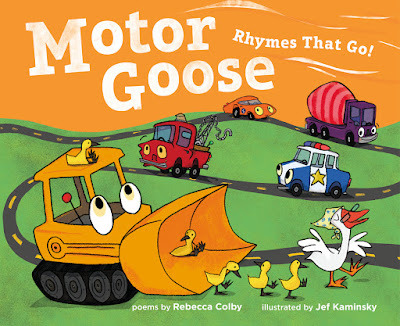 Be sure to enter into the giveaway for your choice of CAPTAIN BLING'S CHRISTMAS PLUNDER or MOTOR GOOSE: RHYMES THAT GO. Thank you for having me on Kidlit411 today! My path to publication took much longer than I expected, but probably the average length of time for children’s authors. I’d written bits and pieces most of my life and I’d always dreamed of publishing a book but didn’t start writing seriously until after my eldest child was born, over twelve years ago. As a baby, I read picture books to her before she could understand what I was saying. Every night I would read to her, and every night I would think, “I can write these books.” So finally I did. Except I had to write dozens and dozens of picture books before I finally sold one seven years later in 2013. It was a long apprenticeship, and not the quick path to publication that I thought it would be! What projects are you working on now? Could you tell us about your new books, CAPTAIN BLING’S CHRISTMAS PLUNDER and MOTOR GOOSE? Of course, and thank you for asking. I love juxtaposition and creating stories from two things that contrast and aren’t normally found together. That is how CAPTAIN BLING came about. I wanted to write a Christmas story with something you don’t normally find in a Christmas setting—in this case, pirates. 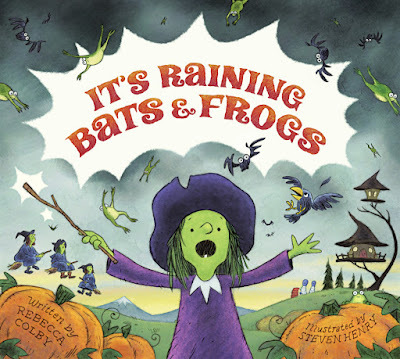 I also love rhyming picture books and using established, traditional poems as a pattern. I decided to write CAPTAIN BLING to the rhyme of ‘Twas the Night Before Christmas. Although I advocate plotting rhyming stories out in prose first, I simply ploughed ahead in rhyme with this story from the beginning. 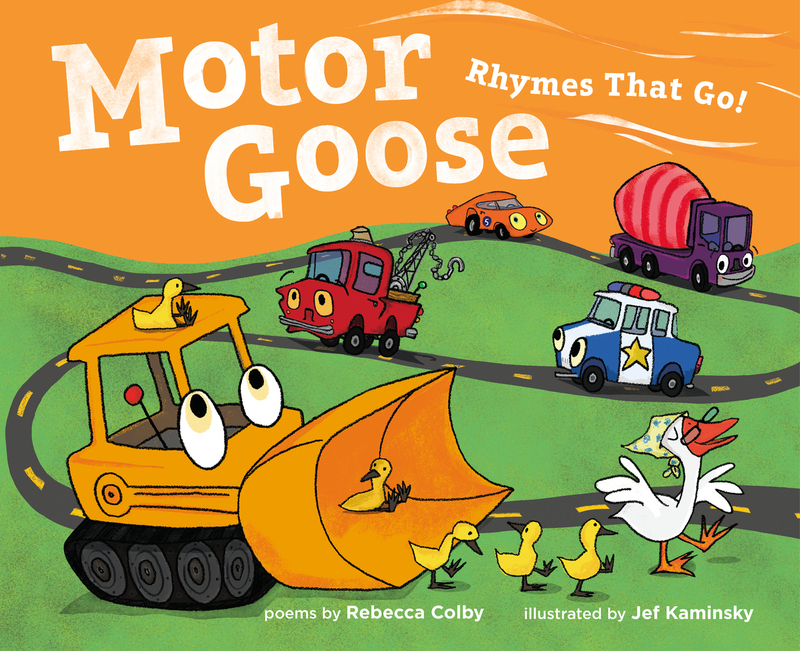 Again, with MOTOR GOOSE, because I like writing to a pattern, I had long-decided to write my own version of the Mother Goose nursery rhymes but it took me a couple of years to find a subject to write about. Every year I participate in Tara Lazar’s Storystorm (previously known as PiBoIdMo), and every year I would write out a couple of ideas for a Mother Goose variation but none of my ideas excited me enough to start writing the rhymes. In 2014, I realized I should choose a subject that is taught in early years’ education (at the same age when nursery rhymes are taught). Transportation, minibeasts and dinosaurs came to mind. After researching all three, I decided transportation would work best and wrote MOTOR GOOSE over four weeks in May 2015. The next project has sold and I’ve just signed the contract, but until it is officially announced, I’m not at liberty to discuss it. 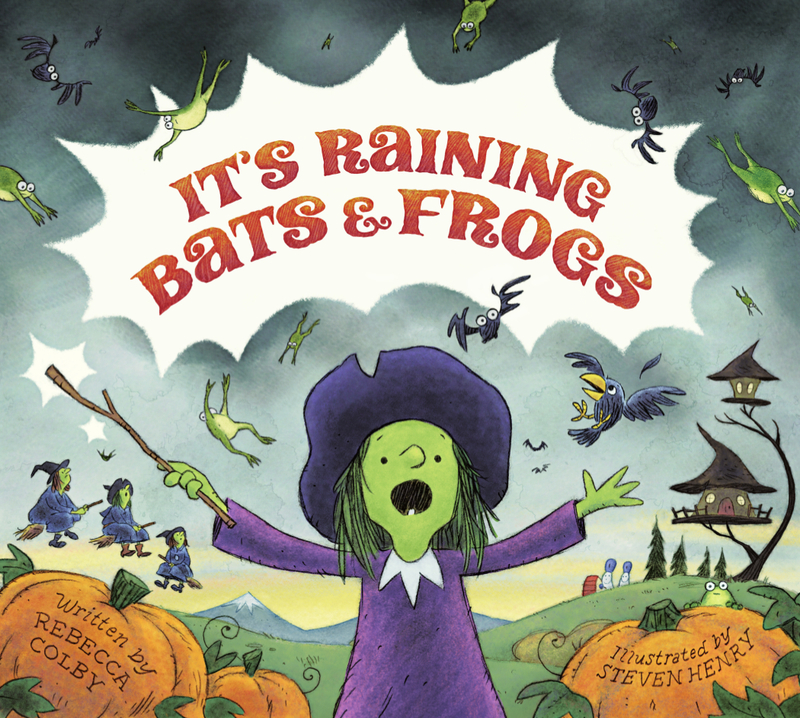 All I can say at this point is that it’s another picture book in verse—one of the first ones I ever wrote--and one that is very near and dear to my heart. I spend a lot of time staring at blank pieces of paper. I started this bad habit as a teenager, falsely believing that I could channel a talented, deceased writer to do all the hard work for me. Sadly, this process never worked, so instead I pull an idea from my notebook and ruminate on it. What I don’t do is push myself to write too quickly. I did this when I first started out and wasted more time than I thought I would waste by properly exploring the idea in my head first. Instead, I sit and daydream. Or I go for a long, meditative walk. This is not a luxury I allowed myself when I began writing years ago. I felt all writing time had to be spent doing just that—writing, and getting words down on the page. But with time, I’ve realized the wisdom of ample thinking time in advance of writing. My stand-by advice is to never give up, and just keep writing. Persevere. Network. Embrace rejections as part of your initiation. Learn from as many people as you can. And—here comes the harsh advice--stop making excuses. Lack of finances to take courses and conferences? Enter giveaways or apply for scholarships. Lack of time? Get up earlier. Sleep less. Work on your commute or over lunch. Even if you write only one sentence a day, you should have a first draft written within a month. You have no way to network with other writers and agents and editors? If you’re reading this interview, then you have some form of internet access. That’s all you need. Network online through forums like this and make virtual connections. That’s how I found my critique partners, and eventually my agent. Too ill to write? Been there. It is hard. Again, some days I only wrote a couple of words, or didn’t write at all. But I did at least spend some of that time in bed sick thinking about writing so that once I was better, I was fired up and ready to go. Blocked or lack of inspiration? Research appropriate writing activities or play a few writing games. Ideas are everywhere. I can be found at one of three places: my website, Twitter, or Facebook. Here are the links for each. According to my mother’s genealogical research, I am related to Laura Ingalls Wilder. My great, great, great, great, great, great, great, great, great grandfather, Samuel Colby, was the younger brother of her great, great, great, great, great, great grandfather, John Colby. Having grown up on her books, it thrilled me to hear this, although I appreciate it’s a very distant relation. Before writing for children, Rebecca inspected pantyhose, taught English in Taiwan, worked for a Russian comedian, and traveled the world as a tour director. Born in America, she now lives in North Yorkshire in England. 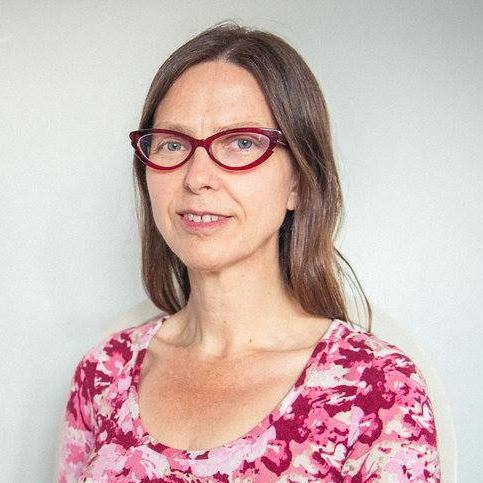 Rebecca writes picture books and poetry, and is represented by Kathleen Rushall of the Andrea Brown Literary Agency. 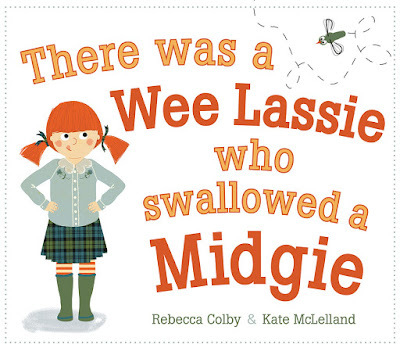 Her books include: CAPTAIN BLING’S CHRISTMAS PLUNDER (Albert Whitman, 2017), MOTOR GOOSE (Feiwel & Friends/Macmillan US, 2017), IT’S RAINING BATS AND FROGS (Feiwel & Friends/Macmillan US, 2015), and THERE WAS A WEE LASSIE WHO SWALLOWED A MIDGIE (Floris, 2014). I have to admit, I have used a couple of your listed excuses myself. 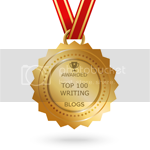 Great Advice Rebecca - it's ok to write slowly... No Excuses... perservere.... Make It Happen. That's awesome that you're kin to Laura Ingalls Wilder! I use to love those books! 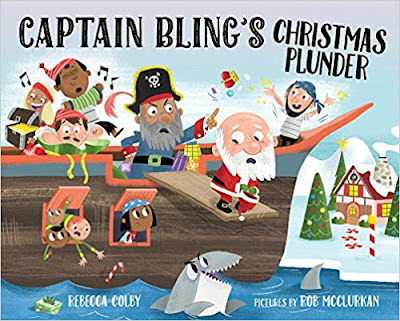 If I won, I'd have to go with the Captain Bling book--it looks especially fun! I can say I knew you when... Congratulations! I'd love to win either of these books with a slight partiality to Motor Goose! Thank you for offering them! I love that you are related to one of my favorite childhood authors! Thanks for the interview today and your books look like so much fun to read and share. 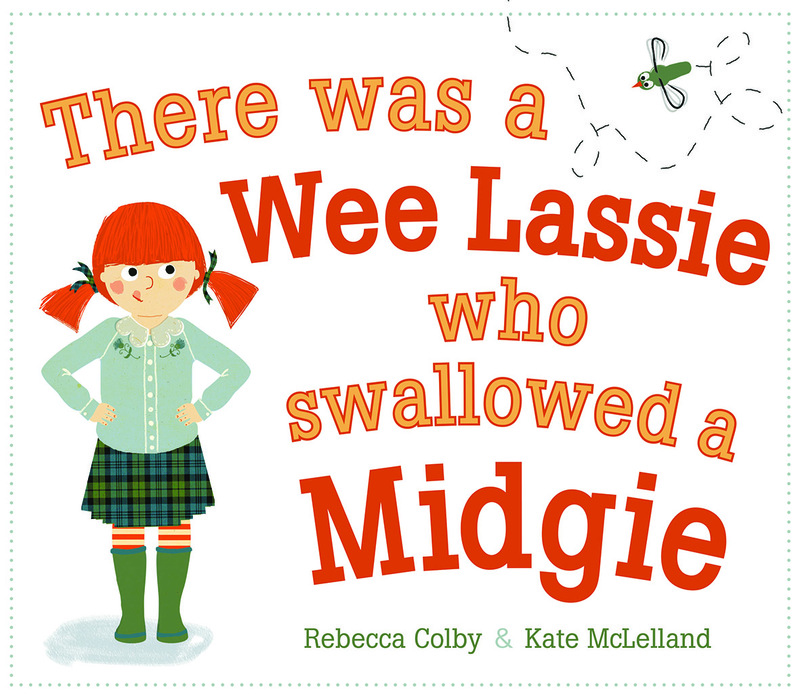 Congratulations on the two new books, Rebecca! I'm guilty of occasional excuse making - this post will help hold my toes to the fire. I like the idea of using juxtaposition and seeing where that takes me. Thanks for the insights! Wonderful advice on finding time. Getting up earlier to write has helped me a ton! I love your books, Rebecca! And I own them all so I won't enter the giveaway! 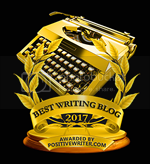 Wonderful advice for writers!